Petrol Jsc posted pre-tax loss in the amount of 25.2 million leva (12.8 mln euros), versus 17 million leva (8.69 mln euros) in 2006. Adjusted for deferred corporate taxes the net loss comes to 22.9 mln leva (11.7 mln euros), the company's audited report filed with BSE revealed. The previously released preliminary data pointed to a non-consolidated profit in the amount of 9.96 mln leva (5.09 mln euros) for 2007. EBIDTA is down from 30 mln leva (15.3 mln euros) in 2006 to 15 mln leva (7.6 mln euros) this year. The decline is mainly attributed to the lower gross margin and rising operating costs. Revenues stand at 794 mln euros (405 mln euros) which is 22.3% up from 2006. Sales of goods and services account for the largest share of total revenues. 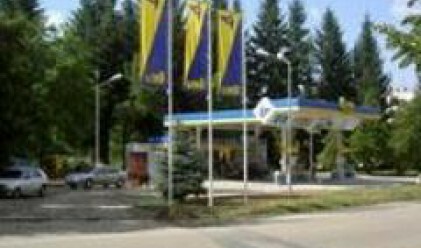 Fuel services resulted in 704 mln leva (359 mln euros) and sales of goods at 40 mln leva (20 mln euros). Retail sales rose from 568 mln leva (290 mln euros) in 2006 to 694 mln leva (354 mln euros) last year (almost 22%). Wholesale volume is up 11%. A total of 519 Petrol Jsc gas stations were in operation last year. In spite of the growing volume of sales, the profit per liter continues to go down in the sector as a whole due to the rising excise duties and state fees, which make the end products more expensive. The company expects a strong competition in the sector this year, which will drive smaller players out of business. The final transaction on the position today was at 4.35 leva/share.